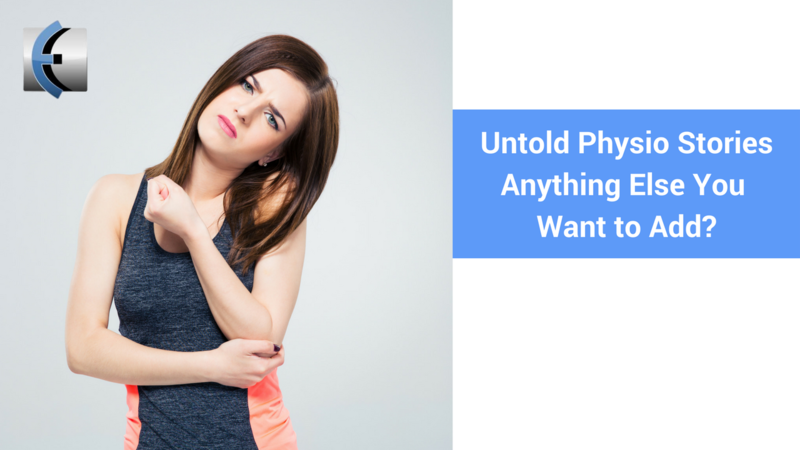 Untold Physio Stories S7:E1 - Anything Else You Want to Add? A good question to ask at the end of your evaluation is, "Anything else you want to add?" You can further specify, medically, healthwise, or prior injuries or conditions that you do not think are related but may be. See what happens when Erson forgets to ask one of his favorite questions to cap off the patient history.